The weather is warming up and the days are getting longer. 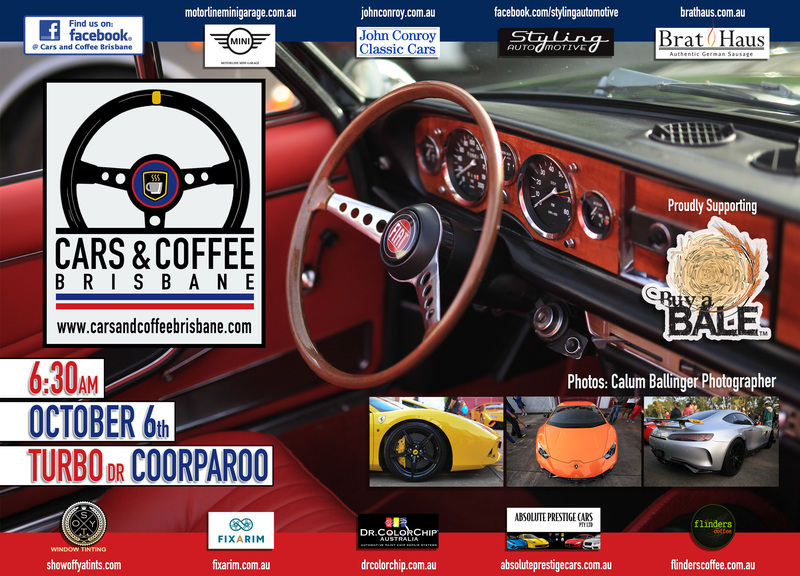 Nice time of year to drop those tops on your roadsters, spyders & convertibles and head down to Coorparoo on the 6th of October for the next Cars & Coffee Brisbane. Our charity is changing this month to support our farmers in crisis. Please dig deep to help Buy a Bale of Hay – Making a difference to Australian Farming Families There will be collection tins on the tables at the Flinders Coffee vans. Please support them in their time of need.